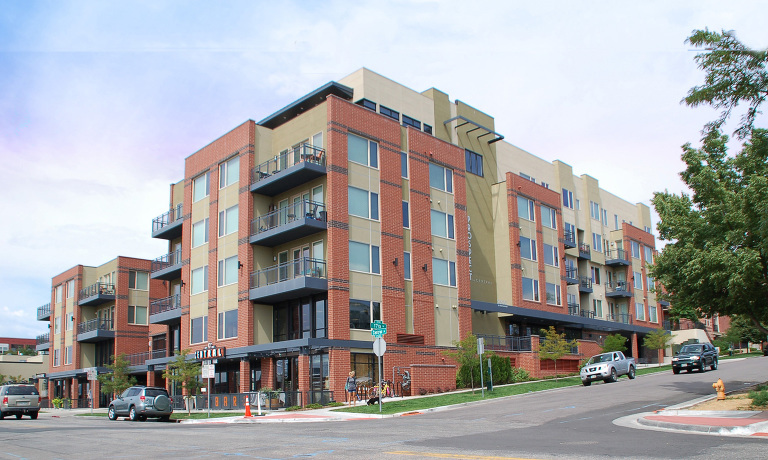 Masterplanning, conceptual design and zoning services were provided for the final phase of the Highland’s Crossing Block in Denver’s Historic Highland Neighborhood. 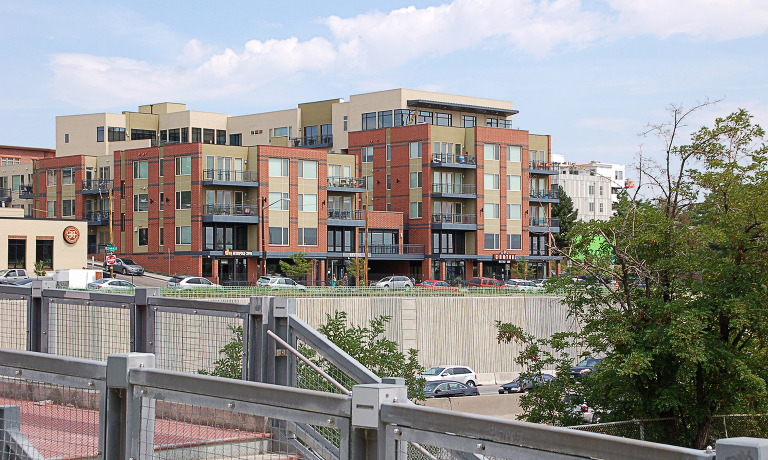 Looking East to the Central Business District, this project connects the Highland’s neighborhood with Downtown Denver. The mixed-use project provides 54 luxury residences, two 5,000 sqft penthouses and 6,000 sqft of ground floor retail and residential. 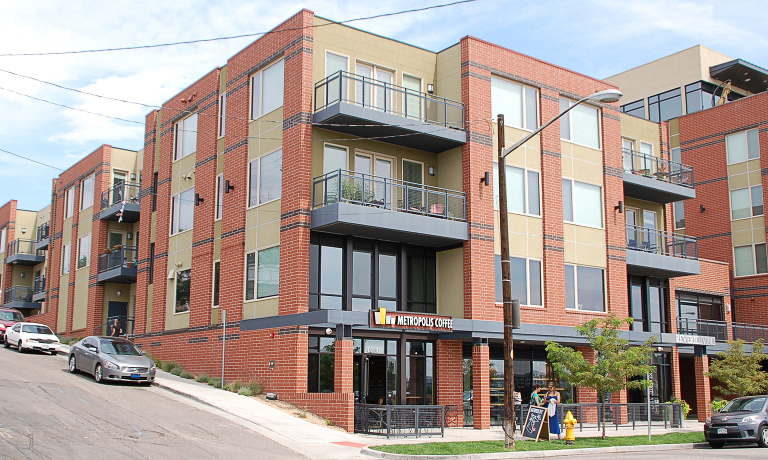 The project also includes 10,000 sqft for the owner/developer’s coporate offices. 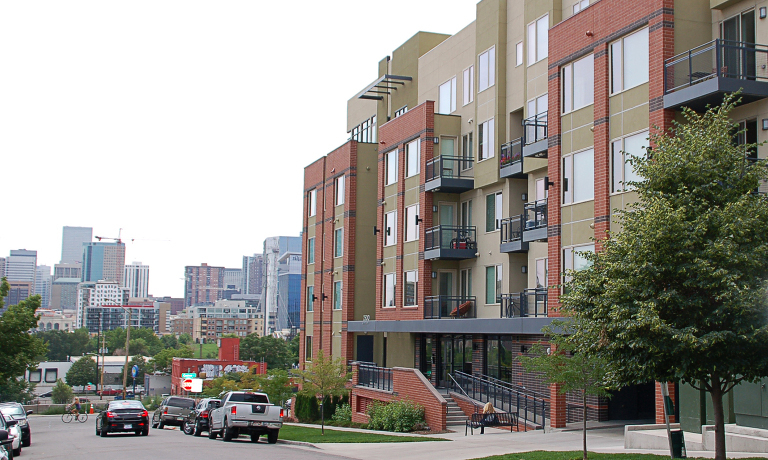 The building steps down to conform to a view plane ordinance and wraps about a linear courtyard with dramatic views back to downtown Denver.